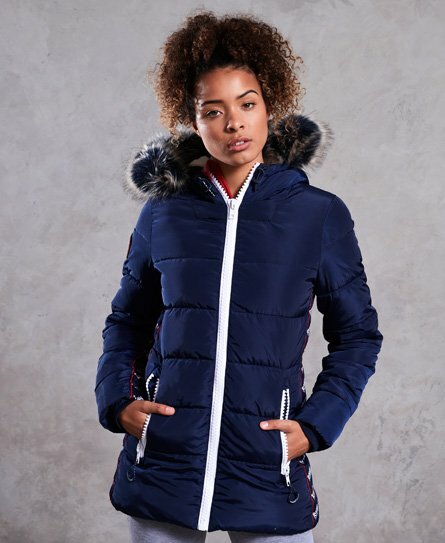 Superdry women’s Streetwear Tall Repeat puffer jacket. A must have this season, this jacket features a super soft fleece lined hood and body, detachable faux fur trim on the hood, single zip fastening and two zipped front pockets. Completed with a Superdry logo badge on one sleeve and Sport logo panel detailing down the sides and sleeves, this jacket will be perfect for wearing to and from the gym.